Boy, was God on our side today! Though disembarking from a ship can tend to be a long and hectic process, the day couldn’t have run more smoothly for us… We were among the first 100 people off the boat (out of 3000), and probably the 20th to actually leave the port! We quickly caught at 20 minute cab ride to airport in time to make the 12pm shuttle to Whistler! Though this might not sound that great, had we been 15 minutes later, we would have spent five hours sitting in the airport as the next shuttle didn’t leave until 5pm. 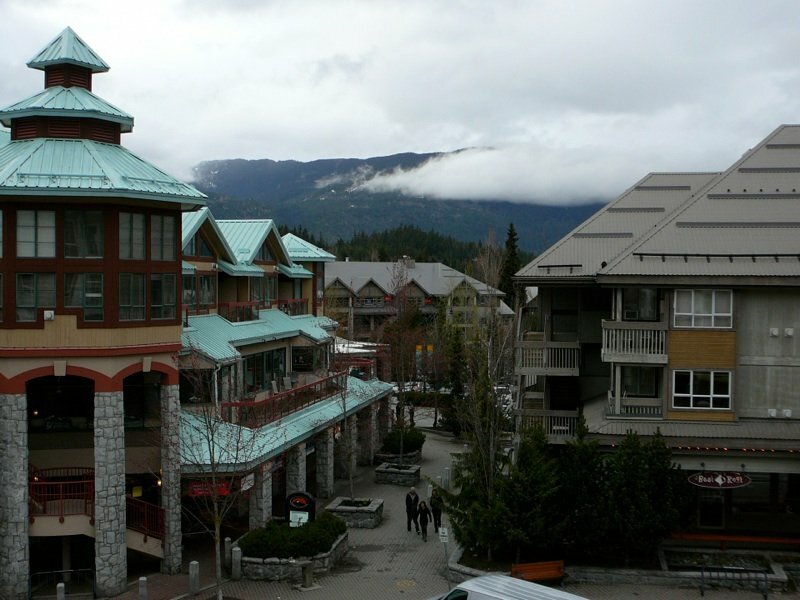 Instead, we were in the Whistler hotel at 2:45pm with the entire afternoon to enjoy the village! Of course, my first order of business was to buy a beenie as it was only 40 degrees here… Talk about a quick climate change from the 95 degree whether in Cabo last week. After that, we spent the rest of the day walking around the town and simply taking in the cool mountain air. Everything in Whistler is really nice and the food is fantastic. And again, the people of Canada have to be the nicest people I have ever met. If it didn’t rain so much and wasn’t so cold, I’d consider moving : ) All in, another great day.